One of the things I love about writing is the “Aha!” moment. I’m not talking about the moment in the story when your main character discovers where he took the wrong path or determines his thinking is a lie. I’m talking about that time when I, as the author, find I’ve inadvertently included something in the manuscript that becomes the key to the story. Whether you’re a plotter, a pantser, or something in-between (like me), you’ve experienced what I mean. That word, sentence, action, or tidbit that leaps from your brain onto the screen without planning and ends up being what you use to tie up loose ends, slip in an unexpected plot point, or deepen the climax. Discovering the reason for that entry is a euphoric experience. I recently completed a story that gave me fits. It did NOT want to be written—at least not the way I intended to write it. I thought the climax needed a certain action, and the heroine… Ugh! Don’t even get me started on her rebellion. After begging God for the answer to wrangling that puppy to a completion, He pointed me to something I had included at the beginning. It wasn’t much, just a simple term my hero used for his nephew’s bedroom. That term became the motivation for a scene that led to a satisfying conclusion. It was not the ending I had envisioned. It was a simple revelation that made all the difference in the world to my hero. Isn’t that the way it usually is in our own lives? We don’t always need something to explode in our faces to see where we’ve gone wrong. Sometimes, we only need a word (or advice) inserted at the right time and in the right context. You can call the insertion of these gems "luck" all you want. I call it God writing His will through me. What about you? What was your last "Aha!" moment in your writing (or life)? Share your experience. 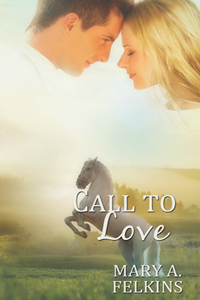 Sandy writes inspirational historical romances with stalwart heroes who melt the hearts of her spirited heroines. Her goal is to entertain the reader with a gripping story while revealing the depth of God’s love and forgiveness. 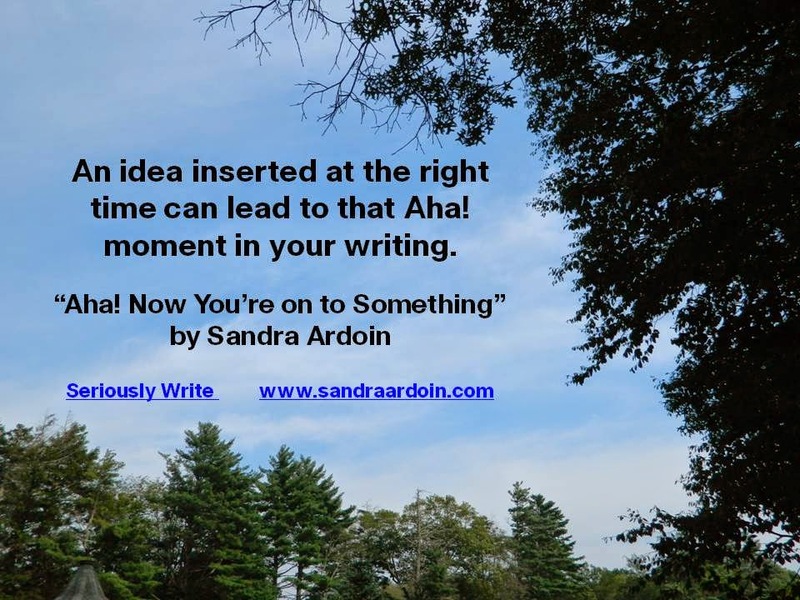 As well as being the Wednesday hostess on the Seriously Write blog, she blogs at www.sandraardoin.com. You’ll also find her on Facebook, Twitter, Google+, Goodreads, and Pinterest. Sandy is the married mother of a young adult. 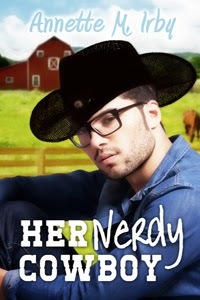 She enjoys reading, country music, and gardening in her rocky, North Carolina soil. This is Tanya Hanson here. 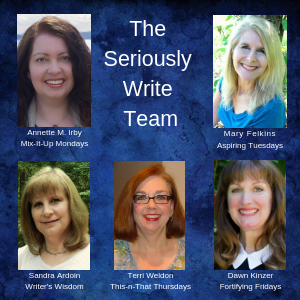 I’ve been invited to Seriously Write as a monthly contributor by the wonderful Angie Arndt whose support and cyber-friendship help me every single day! "The Big and Little Things"
When Hubs and I took a city-slicker wagon train trip, the excursion, both grand and rustic, inspired the setting for a story set on a Colorado ranch. That inspirational novella got me contracts for an eight-book series. Then into our unexciting life came...Cancer. I never started out with cancer as a theme until my husband survived it. And my daughter’s close friend and sorority sister Jackie did not. Those two, with their courage and faith and hope in the midst of blackness, inspired the characters in Sanctuary, the third book in my series. A romance between two cancer patients. A cowboy hero, already in remission. A city-girl heroine, facing an incurable brain tumor and struggling to accept Who’s in charge. In many ways, it’s the best book I’ll ever write. And also the hardest. I learned more about the nightmarish glioblastoma multiform (the deadly GBM) than I ever cared to know. This horrific disease strikes only three out of 100,000 people. After fighting hard for four years, Jackie died a year and a half ago. Despite faith, hope and love, her death tore my heart apart. My son’s best friend, Teller--(all the kids went to the same university and lived next door to each other on Fraternity Row)--sent me a loving condolence card. Fast forward to Good Friday evening. Tenebrae. The exact date, day, and time Teller and his beautiful wife Nichola exchanged vows six years ago. This time, they were renewing those vows. It was an evening of both joy and tears, hope and fears. For in the most agonizing of ironies, Teller is now fighting GBM, diagnosed last June. The struggle is not over, nor the challenges. Toss into all of this, the poignancy of their one-year old son. But the love last Friday night, the faith and the hope warmed the air already spiraling with hugs and prayers. And much fun as well. Music, dancing, and my son’s frat brothers all together again despite the miles between. Like old times, Jake, in from Texas, had me laughing much of the time. That’s the kind of event it was--joy in the moment, hope for the future. And I found my inspiration. Oh, no, not another cancer story. I’d been agonizing over a name for the heroine in the Christmas story I’ve been asked to write. Hearing the name of Jake’s fiancée, I knew it was perfect. I asked, and he said yes, with much more laughter and hugs. I seem to be able to find inspiration in both big and little things. How about you? A beautiful plus-one at a wedding, a hunky cowboy..autumn leaves and rugged horse trails. The perfect setting to unite two healing souls... Ranch foreman and single dad Hooper Martin is ready to put his health and life back on track after battling cancer...including re-entering the dating scene. His little girl sure could use a mother. Falling hard for wedding guest Malia Cameron makes perfect sense to him: she's a survivor, too. Mallie has put her heart on hold, knowing she will never recover from her struggle with a brain tumor. She can't promise a future to anybody and vows never to fall in love. Letting Hooper Martin into her life would be a big mistake. But his good looks take her breath away, and his living faith starts to gentle her confusion about Who's really in charge. Hey writers, Annette here. Have you ever heard the advice to write for the market? Then we hear that we should write our passion. So, which is it? Or maybe it's a bit less black and white than that. Today's guest, Carla Laureano, addresses the topic with some helpful advice and her own success story. Enjoy! When I first started writing for publication, the most confusing part wasn’t the craft details or the etiquette. It was the conflicting information on how to write the most marketable book possible. “Write your passion.” “Write what you know.” “Write what’s selling.” “Write to market trends.” How is an author to know which advice to follow? 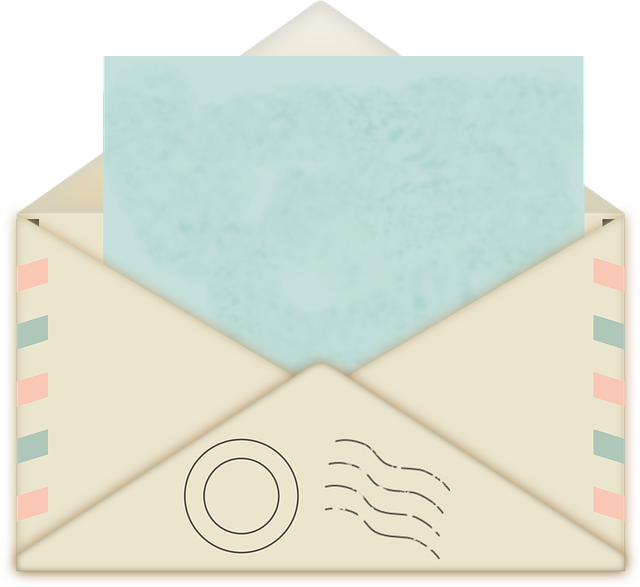 It’s easy to say that you should write to your audience, but which one? If you want to publish traditionally, at some point you’ll submit your manuscript to a “gatekeeper,” whether that’s an agent or an editor. Writing to this audience means knowing what particular agents are looking for, what they absolutely won’t represent, and what the editors they work with are buying. How do you determine this if you’re not already working with an agent? - Read, read, read. Agents and editors are looking for manuscripts to which they can say “yes,” and that means knowing their particular areas of interest. Read agent and publisher blogs. Read Publishers Weekly online. Read editor and agent biographies on conference websites to see what they’re actively acquiring. - Watch the trends. Publishers acquire manuscripts eighteen months to two years from the actual publication date, so by the time a flood of one type of book hits the market, editors are looking for something completely new. For example, the dystopian craze is winding down and publishers are no longer acquiring much in that sub-genre. If you write in one of these played-out genres, the trick is finding a way to put a new spin on the topic, whether it’s a unique setting, narration style, or plot. Agents and publishers ask for what they think will sell, but they’ll admit that sometimes even they don’t know what they’re looking for until they see it. If you’re a writer, you’re also probably an avid reader and you engage with readers who have tastes similar to your own. This is your chance to see what readers are looking for and where there might be an unmet area of the market you can explore. Before I wrote Five Days in Skye (June 2013), my 20- and 30-something friends and I were reading general market romance because we liked its exotic locales and glamorous characters. But I always missed the added depth of a spiritual element. Conversations with other readers told me they too would buy a book that melded the glossier elements of general market romance with the morals and heart of inspirational. My editor at David C. Cook saw the potential in this emerging sector, contracted the book quickly, and the response has been overwhelmingly positive. Yet no publisher was openly advertising an interest in European settings or edgier storylines. Had I not spent the time to find out where other readers’ wants intersected with my interests, I might have missed a great opportunity. Did you notice the line above? “…find where [their] wants intersected with my interests.” I believe that writing strictly for the market often results in boring, passionless stories that read like contractual obligations. So while it’s important to understand your gatekeeper/reader audience, it’s also important to write something that gets you excited to sit down at your computer each day. 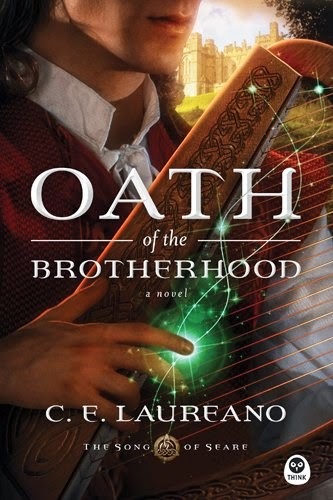 When I wrote Oath of the Brotherhood (NavPress, May 2014), the prospects of selling inspirational fantasy were even dimmer than they are today. And yet the story would not leave me alone. I wrote, edited, polished, rewrote, and submitted for almost five years before I landed an agent and then soon afterwards, a publisher. Had I written strictly for the market, I would have lost the valuable experience I gained in the writing and rewriting of the novel, and I wouldn’t have been ready for the window of opportunity for its publication. In the end, it’s important to know all three levels of audience and maximize your chances for publication. But if you continually refine your craft and write with passion, you will be ready to seize the opportunities when they present themselves. Happy writing! 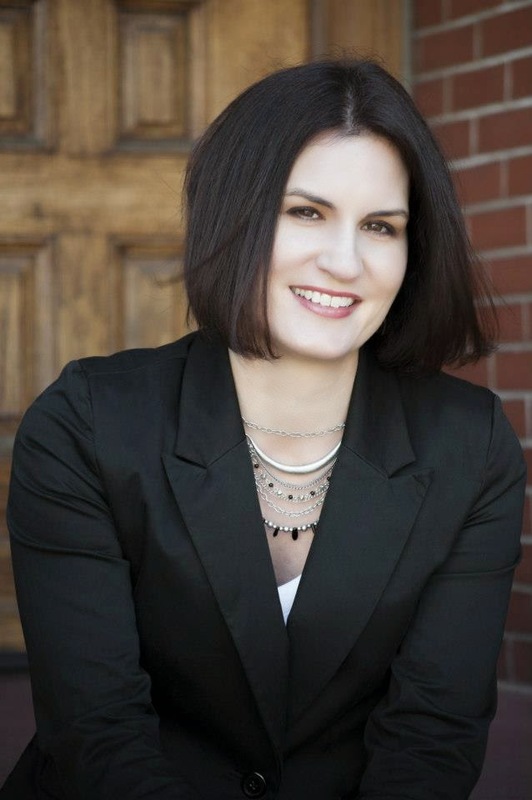 Carla Laureano has held many job titles--professional marketer, small business consultant, and martial arts instructor--but writer is by far her favorite. Her debut contemporary romance, Five Days in Skye, was recently selected as a finalist in Romance Writers of America’s RITA Awards in both the First Novel and Inspirational categories. She is also the author of the upcoming Celtic fantasy series Song of Seare under the name C.E. Laureano. An island the edge of the world. An ancient prophecy. A reclusive warrior brotherhood. When evil encroaches, who will find the faith to fight it? To his clan, Conor Mac Nir is a disappointment—gifted with a harp, but hopeless with a sword. To the beautiful young healer Aine, he’s one whose gift calls out to her own . . . and captures her heart. To the reclusive warrior brotherhood called the Fíréin, he may be the answer to an ancient prophecy . . . if he can be trained to fight. Can Conor and Aine find their true path as an ancient evil engulfs the isle of Seare? Must Conor sacrifice everything he loves, even Aine, to follow the path God lays out before him? I’m excited to have author Elizabeth Musser join us from her writing “chalet” in France. Yes, that’s right! Elizabeth and her husband have been serving as missionaries there for many years. If you visit her website, you’ll see the cute shed in her yard where she pens her novels. Her personal story is testimony to God’s leading in our writing journeys, no matter where our lives take us. Twenty years ago I attended my first writers’ conference held at Moody Bible College in Chicago. As a missionary serving in France, finding a writers’ conference that corresponded with my family’s furlough was a stretch of the time schedule and the pocketbook. But I’d had this unquenchable thirst to write ever since I was six years old, and after years of hearing from dear folks who read our prayer letters that “You should consider writing a book, Elizabeth”, I gathered together a very modest portfolio of my writings—mostly anecdotal stories about the latest catastrophe with our two little boys that I wrote during their naptimes to save my sanity—and headed to the conference. 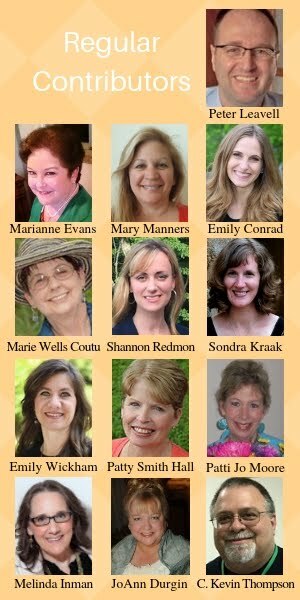 I went with excitement, fear and the same prayer on my lips that I had voiced for so many years, “Lord, if You want to do something more with my writing, show me.” At the conference, I was astounded to discover that one of the editors representing a publishing house had at one time been a missionary in France with my agency, and I knew him! I returned to France with the tools I had gleaned from the conference to write a professional book proposal. A few months later, I sent the proposal to Dave, and, to my utter amazement, was offered a contract. I was going to write a novel! All those years of praying and writing were going to pay off! Fast forward twenty years. I’m still in France, and I’m still writing novels. Our two sons are grown, and my husband and I eagerly await a visit from our toddler grandson—I’m sure he will give me new catastrophes to turn into stories. It hasn’t been easy. The writing journey has often seemed like a never-ending roller coaster ride. Acceptance, rejection, glowing reviews, criticism, best-sellers, and books taken out of print. But did I really want ‘easy’? Of course not! My desire as a Christian novelist is to be a good steward of the gift the Lord has given me. I show up, work hard, and do my part, and then I trust the Lord to do whatever He desires with my stories, checking in with Him on a regular basis, for His inspiration, His nudge, His encouragement. He has molded my character and grown my roots deeper in Him through this writer’s journey. And if I doubt, I look back to that first writers’ conference where He put me at the ‘write’ place at the ‘write’ time. The writing journey often seems like a never-ending roller coaster ride. Click to tweet. Show up, work hard, do your part, and trust the Lord to do whatever He desires with your stories. Click to tweet. "Your toil is not in vain in the Lord." I Cor. 15:58 Click to tweet. 1994. In the south of France, a high school teacher, a homeless man and a young Algerian student newly converted to Christianity embark on a journey of faith which leads them into the midst of Algeria's civil war and into a war for their souls—a war that will force each one to choose between two cultures, two religions and two destinies. Ophélie Duchemin is a high school French teacher and budding playwright in Montpellier. When her student, Rislène Namani, comes to her for help, Ophélie is quick to step in. Rislène has converted to Christianity and her strict Muslim father has found out. The family is furious and threatens Rislène with physical harm and worse. But Rislène’s betrayal is even deeper—she is in love with a Christian, Eric, who happens to be Ophélie’s little brother. 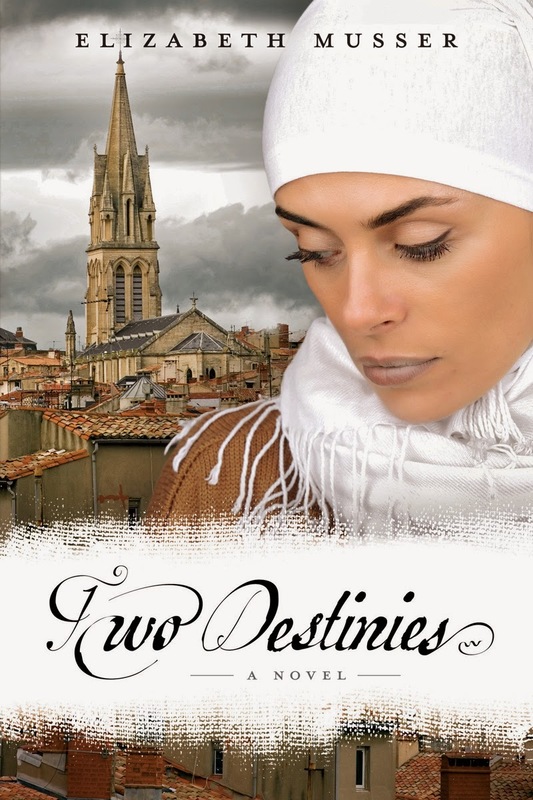 Two Destinies is the story of the persecuted church in North Africa, the terrorist activities in the midst of Algeria’s civil war, the desperate homeless people in France, and courageous individuals willing to risk their lives to help those in need. ELIZABETH MUSSER writes ‘entertainment with a soul’ from her writing chalet—tool shed—outside Lyon, France. 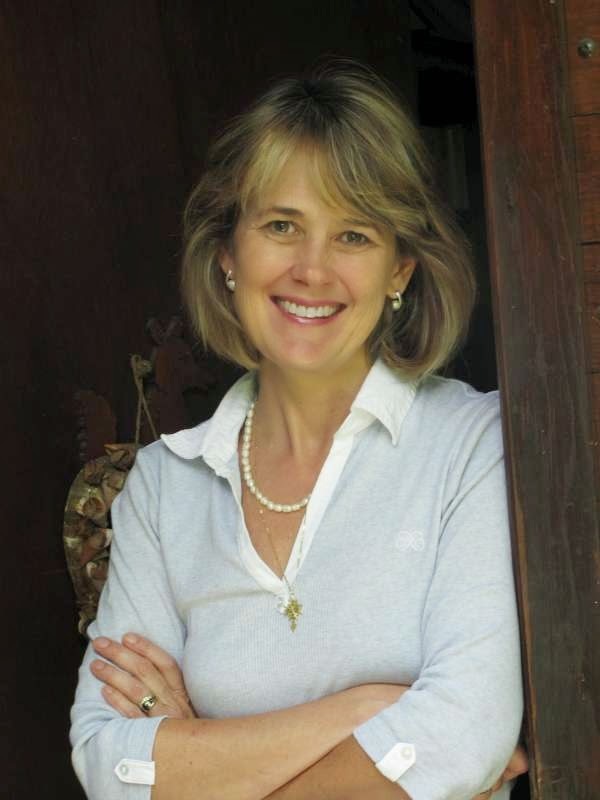 Elizabeth’s highly acclaimed, best-selling novel, The Swan House, was named one of Amazon’s Top Christian Books of the Year and one of Georgia’s Top Ten Novels of the Past 100 Years (Georgia Backroads, 2009). All of Elizabeth’s novels (including The Dwelling Place, Searching for Eternity, Words Unspoken, The Sweetest Thing, and The Secrets of the Cross trilogy) have been translated into multiple languages. Two Destinies, the final novel in the trilogy, was a finalist for the 2013 Christy Award. For over twenty-five years, Elizabeth and her husband, Paul, have been involved in missions work with International Teams. The Mussers have two sons, a daughter-in-law and a grandson. Find more about Elizabeth’s novels at www.elizabethmusser.com and on Facebook and Twitter.